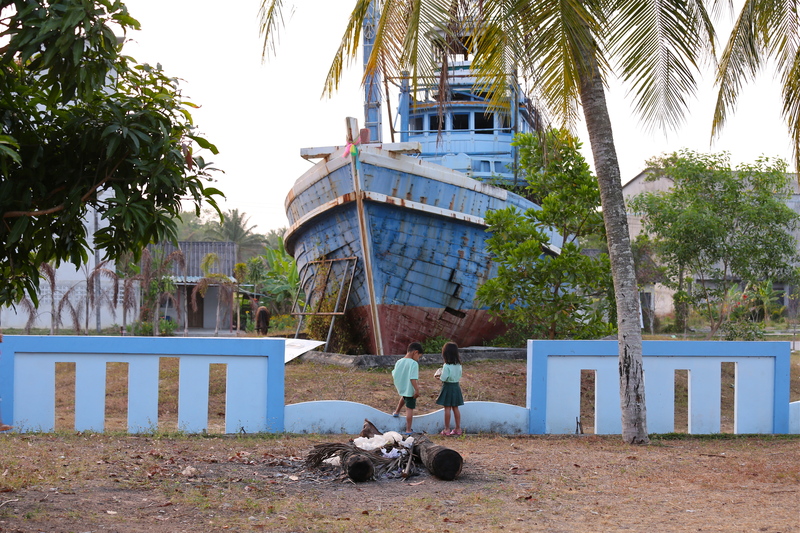 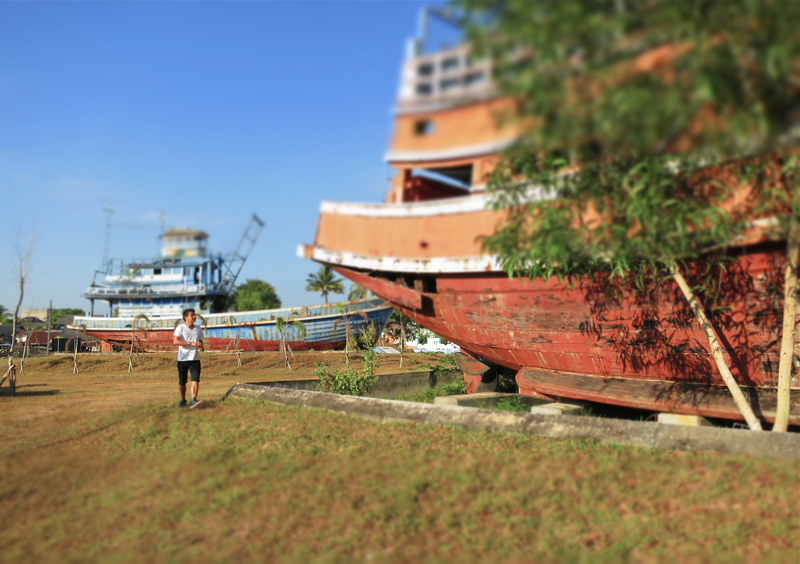 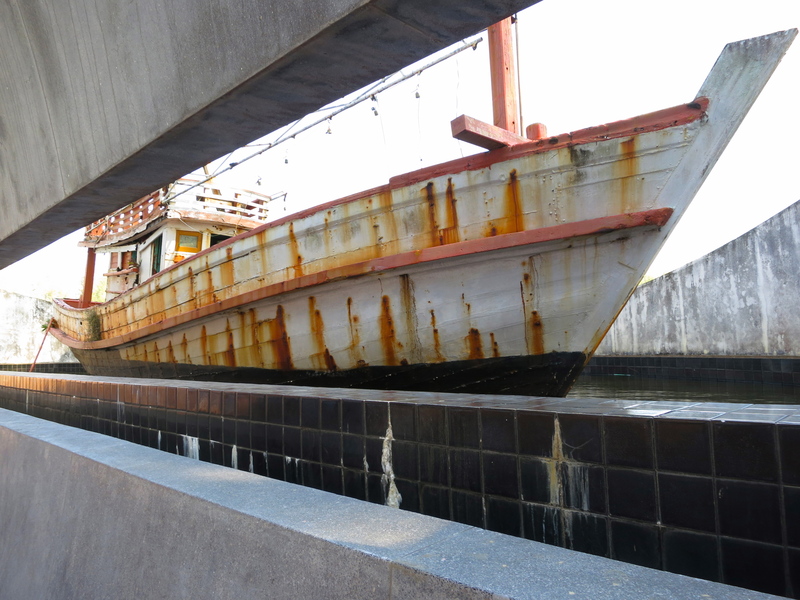 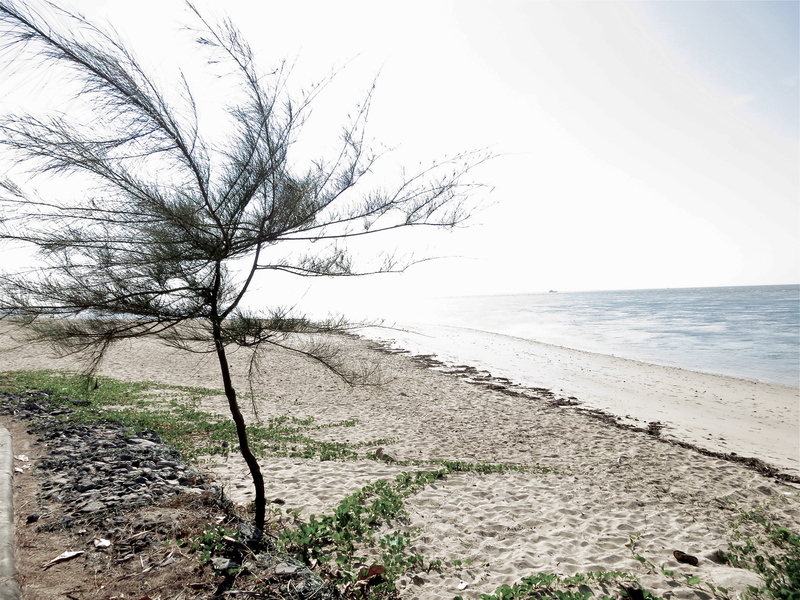 Ships remain in a park by a school in Nam Khem village, destroyed by the Dec. 26, 2004 tsunami. 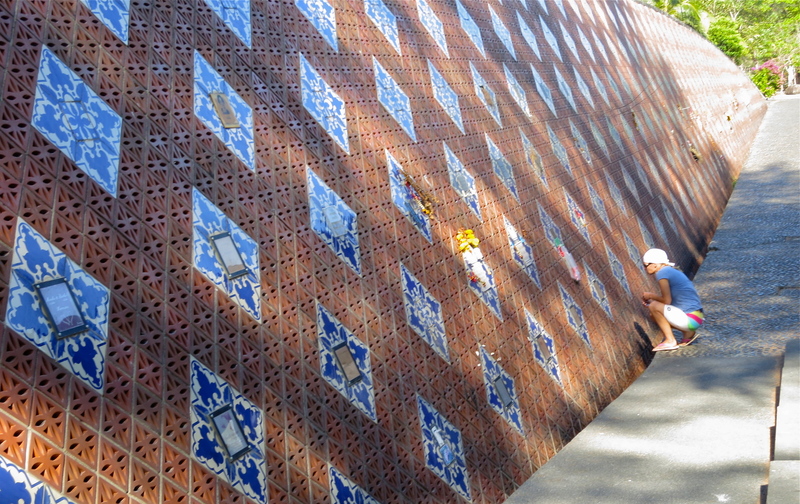 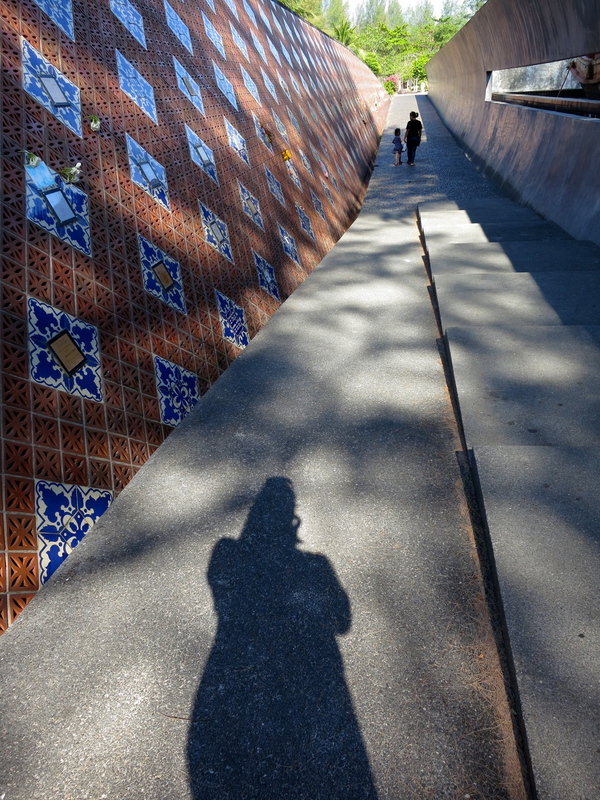 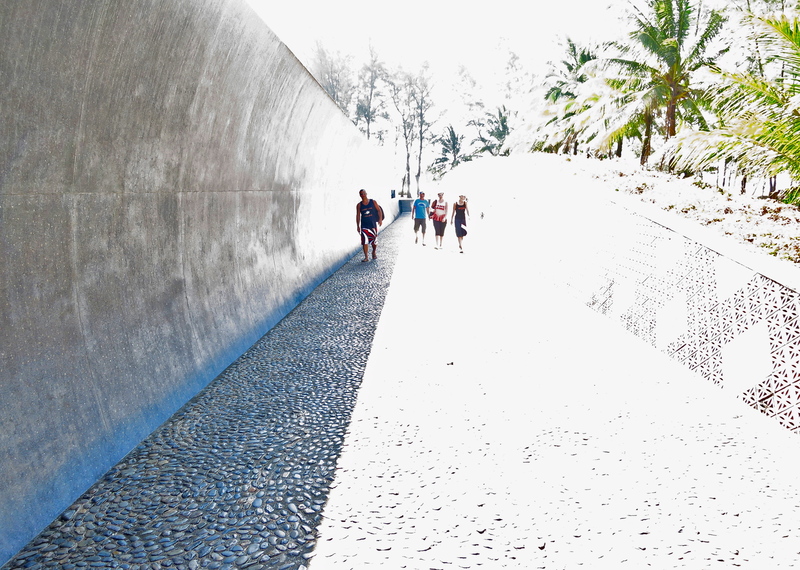 The tsunami memorial reminds visitors of the thousands of people who died in the tsunami. 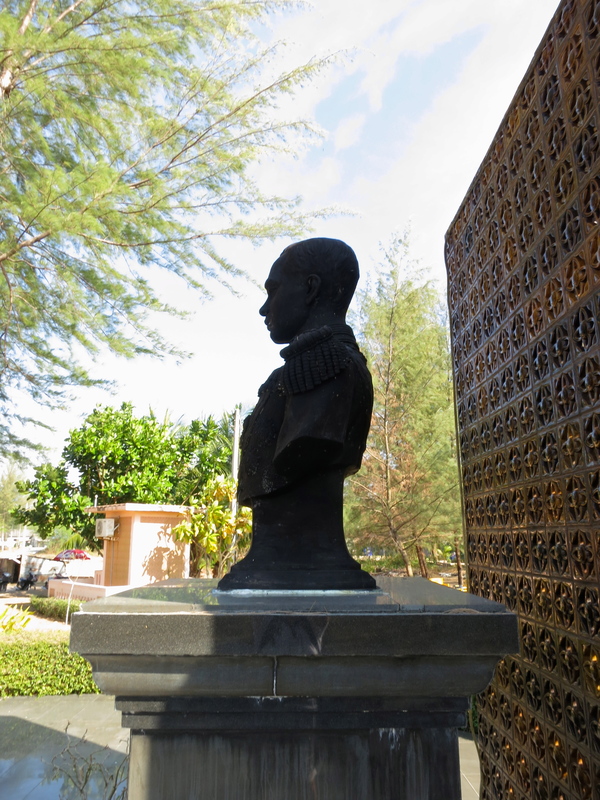 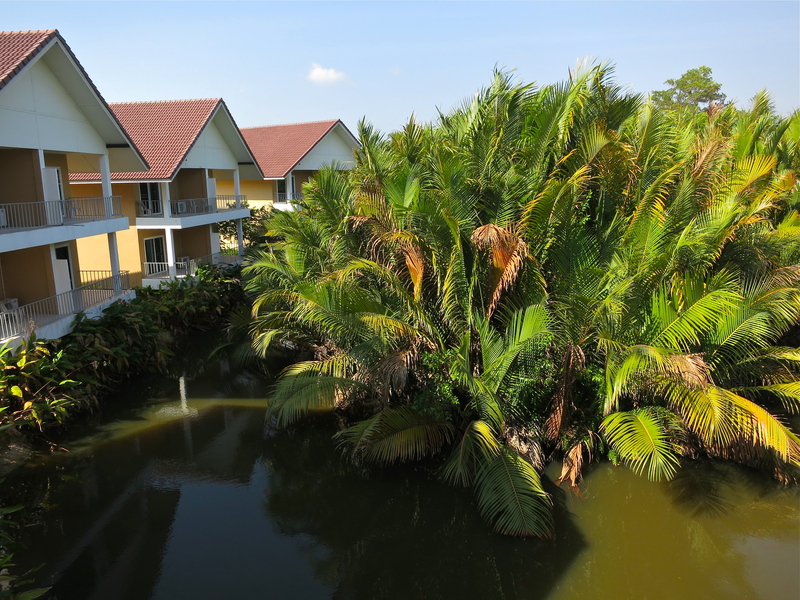 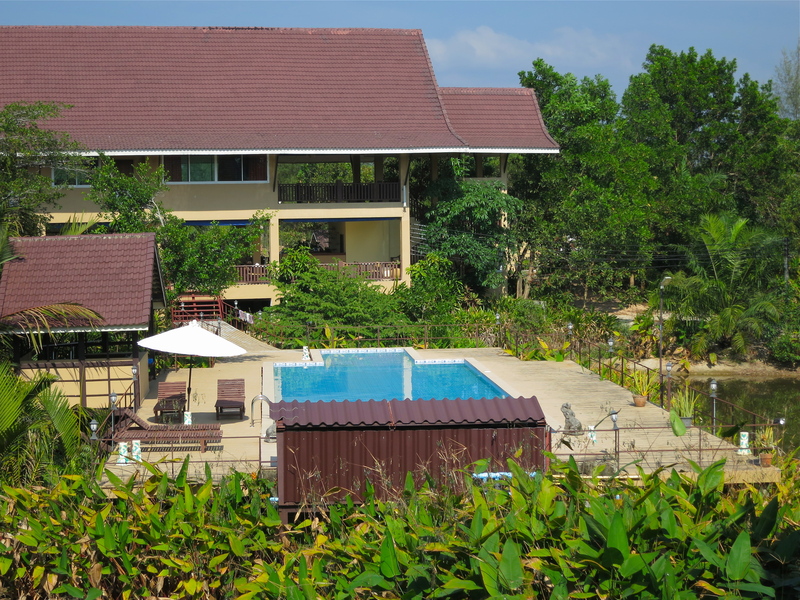 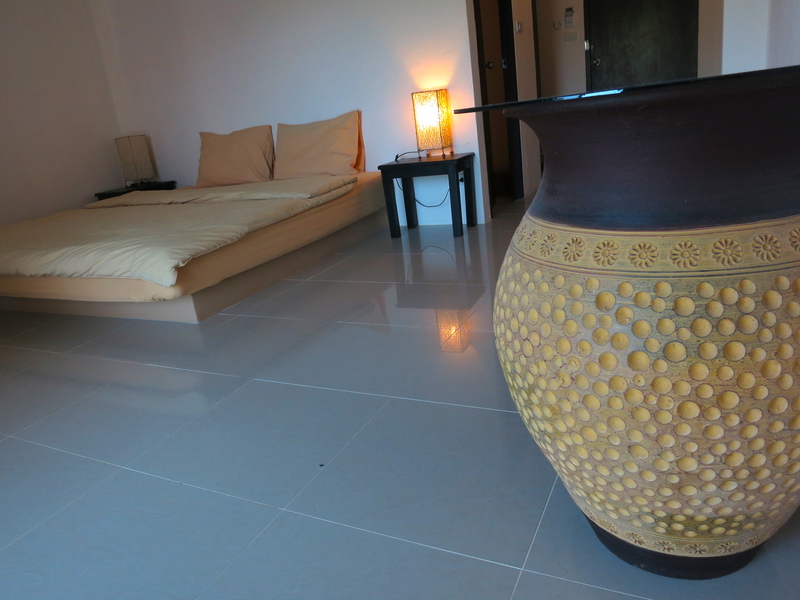 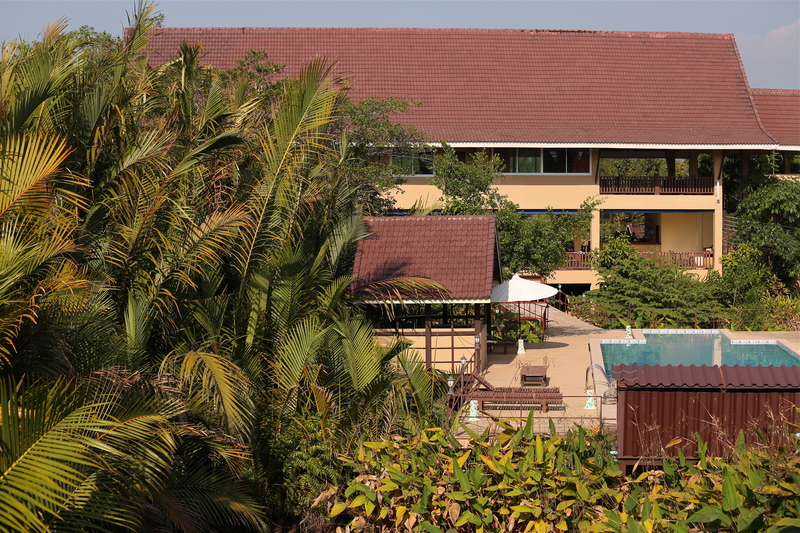 Tourists can enjoy the natural beauty and tranquility of Water Palm Resort by the river in Nam Khem village. 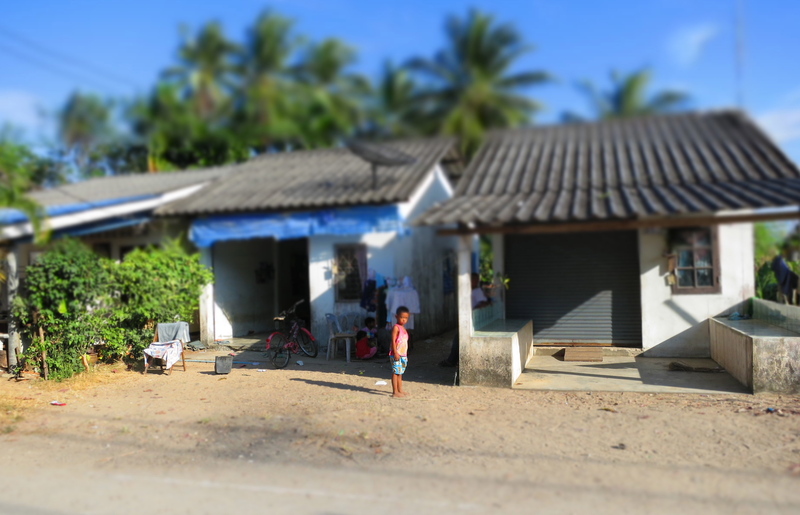 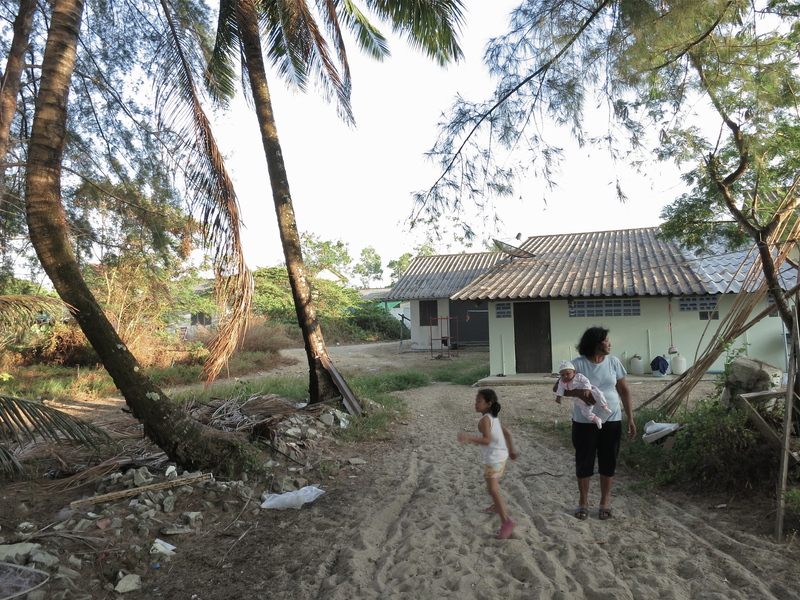 Many families have rebuilt their homes by the coast, while others moved away from the sea that took their loved ones. 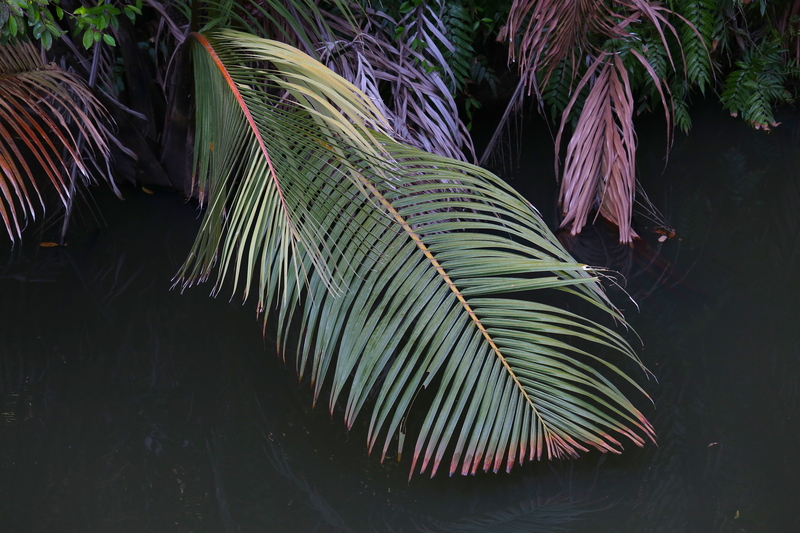 The dark, churning waters Daew’s son from her arms, and drowned her mother who tried to climb a tree. 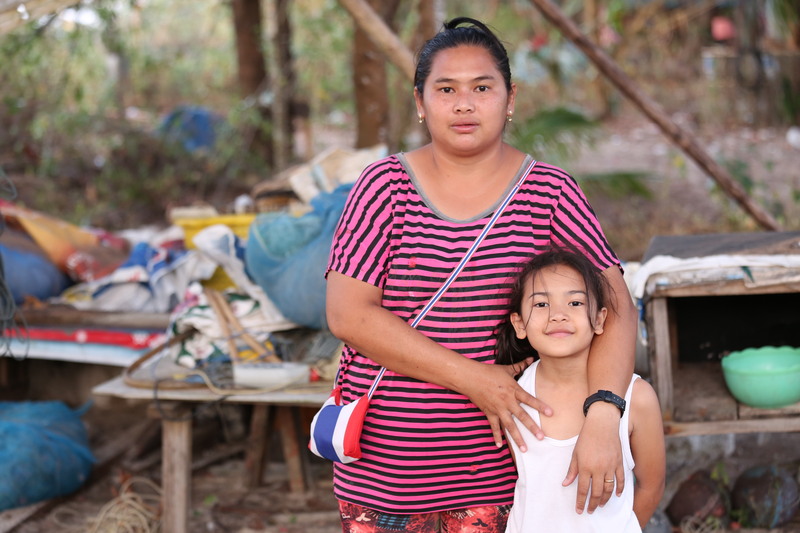 But she and her husband Tham survived. 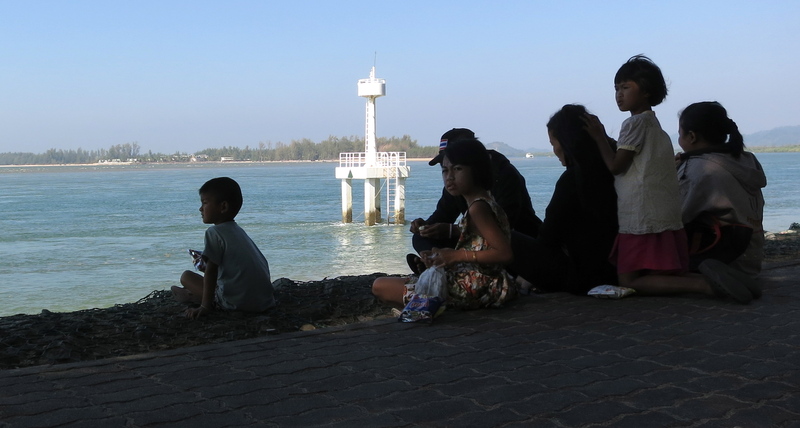 Their daughter Nong Prae was born three years later. 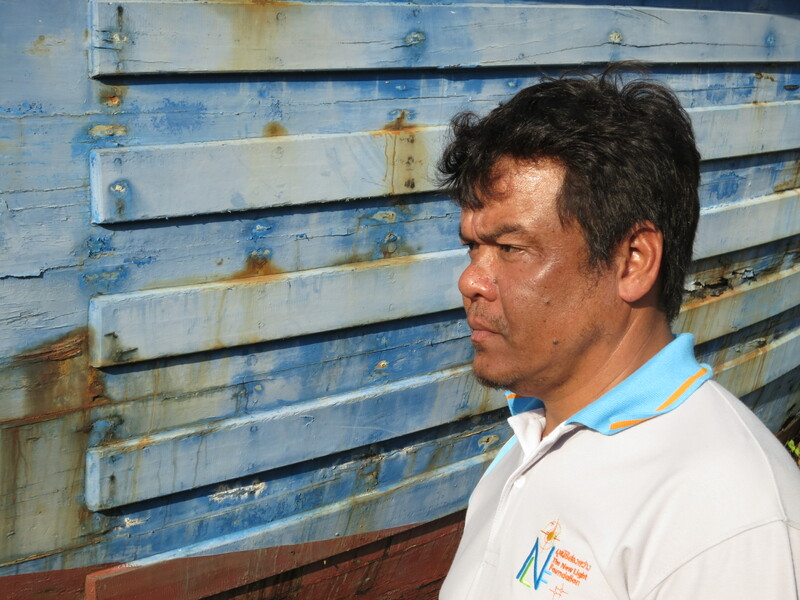 Tham, who works at the Community Development Center sponsored by the Baptist church, enjoys fishing in his long tail boat on weekends. 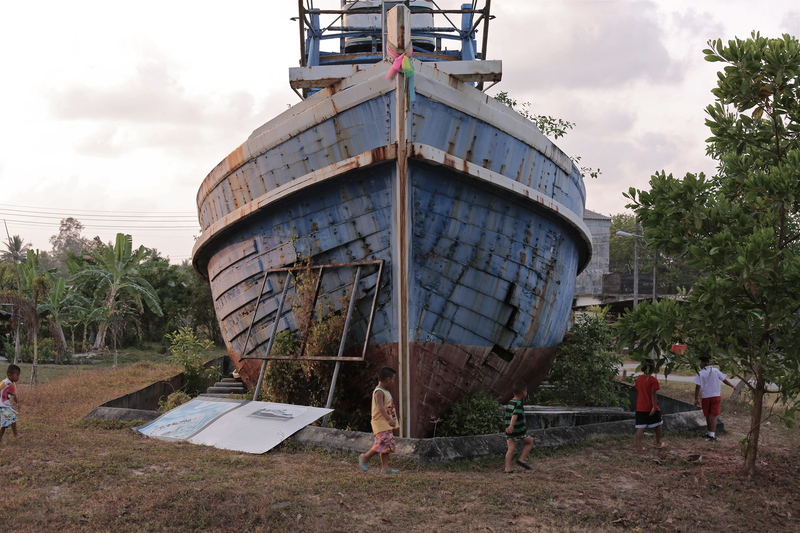 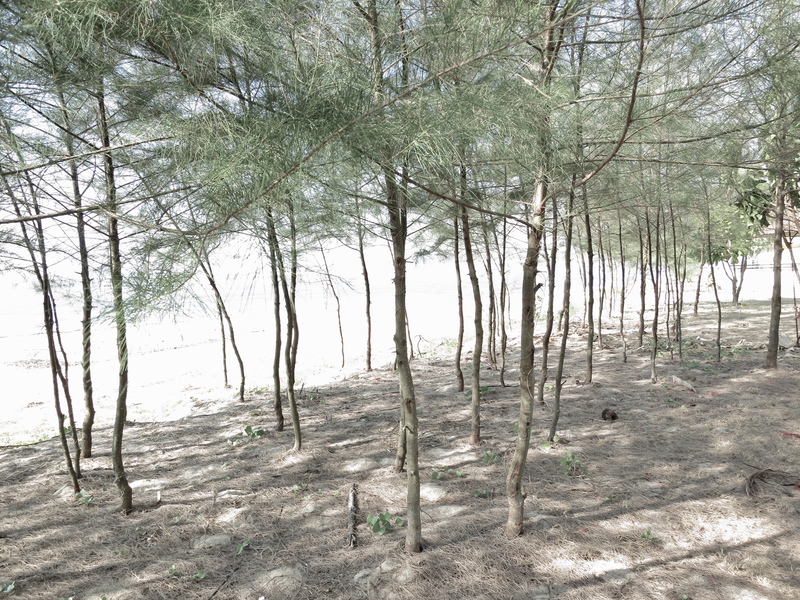 His father’s old boat remains on the beach, unrepaired since the tsunami. 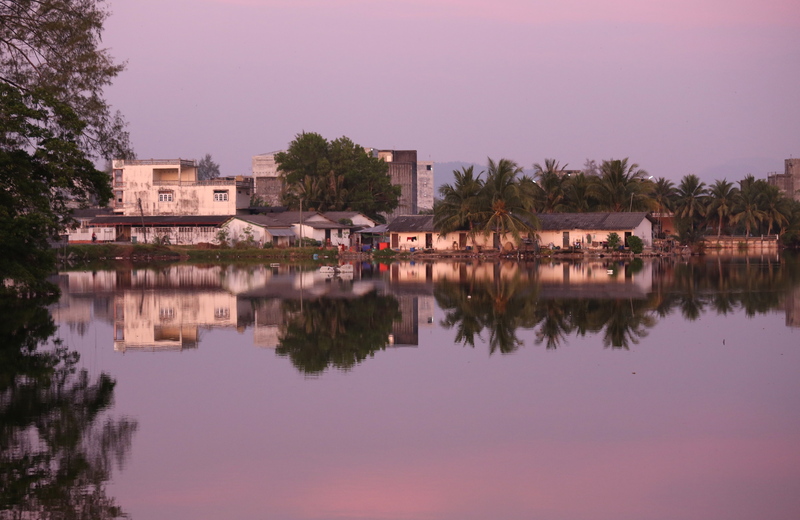 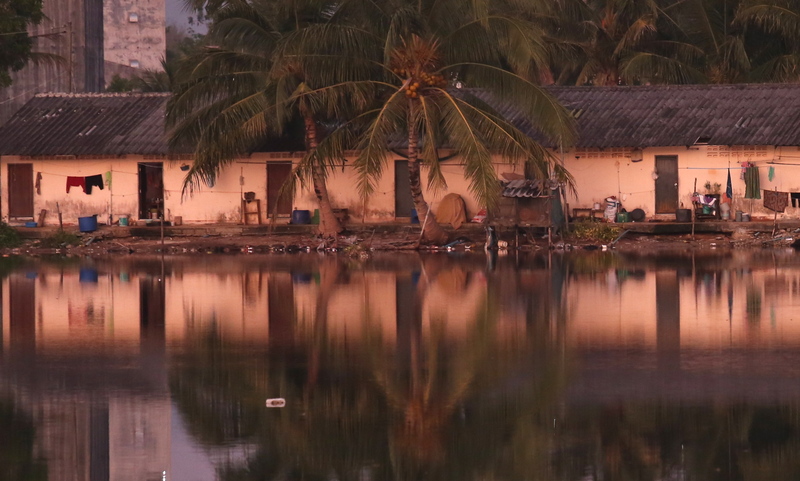 True to its name, there’s a lot of water in Saltwater Village, providing mirrors to reflect colorful skies. 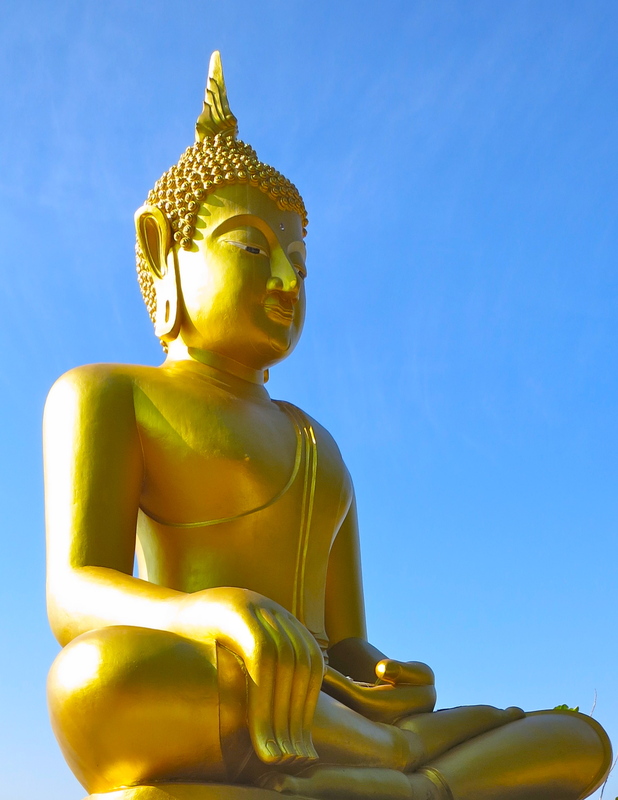 The Buddha sits by the beach, holding back the tide.